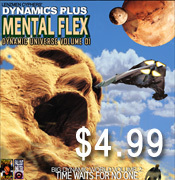 I consider Mental Flex to be the official first album from the Dynamic Universe volumes. These are old songs from an era where the Do It Yourself approach wasn't a popular way to think yet. I wasn't approaching recording in terms of albums, I was only interested in experimenting and making songs I liked. Maybe these songs would be done over again in a bigger studio and I'd get around to polishing them. The Cryptic One from Atoms Fam would always encourage me to put material out and press records, but I always felt like I wasn't where I wanted to be as an artist. 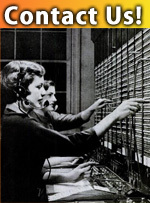 I thought I would be going the conventional route of a record deal first and record pressing second. I've seen artists lose valuable creative years remaking the same songs over and over with different producers and at different studios -working on the same concepts over and over trying to make that final version that would be a perfect hit record. I got caught up in that for a while making part twos and part threes to songs with unrealized potential. I broke this cycle by simply moving on and saying: Okay, twelve songs, that's an album, what's next? 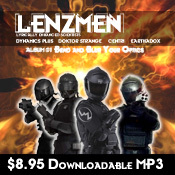 That's where I got the idea to create songs under the idea of a Dynamic Universe Volume. 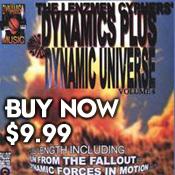 Dynamic Universe Volume 4: Run from the Fallout and Dynamic Forces in Motion dropped first because I felt like I got the sound close enough to the vision/version in my head. 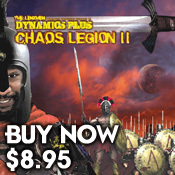 While I waited for a perfect time to recreate a lot of my old material, the world changed and so did I. I didn't think like that Dynamics Plus and I didn't rhyme like that Dynamics Plus anymore. I didn't want to change the original versions by bringing in modern sensibilities, but I also didn't want to pass these albums off as current. So the way I'm choosing to approach this older material is to call it what it. 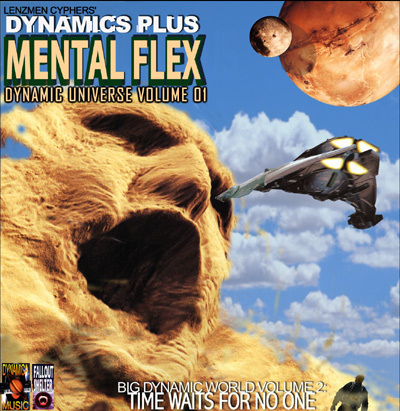 Mental Flex; Dynamic Universe Volume 01 is a collection of my early recording left raw and low-fi from the early days of my Fallout Shelter Productions. Some of these songs are over 10 years old. 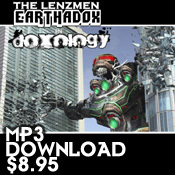 Purchase A Digital Download of this album. 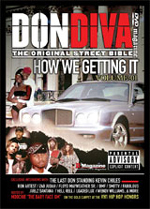 The Lenzmen track Residue is featured on the DonDiva DVD 'How we gettin it'. It plays before the Loaded Lux freestyle segment. 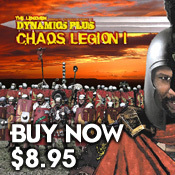 A few other tracks from Dynamics Plus are sprinkled throughout. 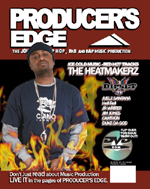 Also, check for the producer Sean Maru. 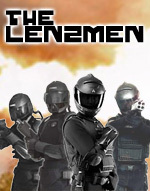 His track appears at the Beginning of the P-Star segment. 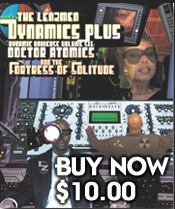 Dynamics Plus is featured in the Pages of Ghetto Blaster Magazine issue 15. 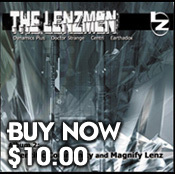 *purchase any 2 products from the Music Store and receive a copy* The Article can be found here.